Description: Everyday life, higher education demand and expansion across every industry, arose the need of English meanings in various languages along with its English pronunciation. Looking to present basic requirements, we have introduced 5 in 1 DICTIONARY (Talking Dictionary) with database of 2,50,000 + words. It includes Dictionary in English, Hindi, Gujarati, Marathi, Punjabi and Sanskrit language along with Phonetic & Virtual Keyword. 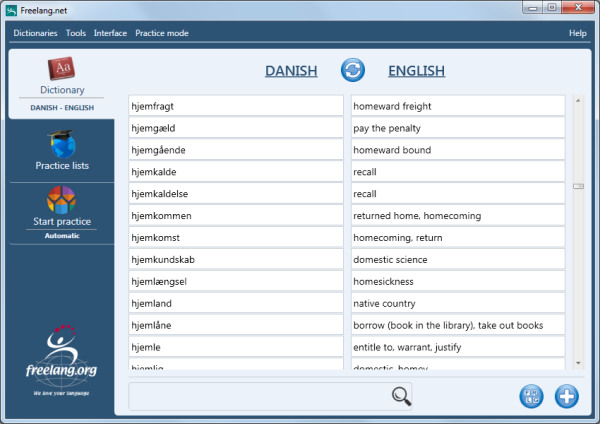 Description: Free Desktop Thesaurus, Dictionary, Translation, Rhyming and Writing Software. Also Great Software for SEO Keyword Research and PPC. 80+ positive testimonials. Search for synonyms for up to 10 words at a time...And then get 10x to 20x the results, in only a fraction of a second! Try 30 Days Free. Microsoft Word Thesaurus add-on boosts speed and productivity. An outstanding writing tool for creative writers, poets and marketers. Description: The detailed help provides step-by-step procedure on using the author module and the test engine. The exam engine allows a candidate to take the test. Description: Desktop Assistant offers instant alt-click access from almost any application to the free online reference resource with English, Medical, Legal, Financial, and Computer Dictionaries, multiple Encyclopedias, Indexes of Acronyms and Idioms, a Thesaurus, and a Literature Reference Library provided by TheFreeDictionary.com. Also, allows to Zip Code lookup, IP address, Site/E-mail Tracking and City Lookup. No spyware, adware, or malware of any kind. Description: English explanatory dictionary with extended thesaurus for Sony Ericsson devices,contains 140489 entries.This dictionary is based on WordNet lexical database by the Cognitive Science Laboratory at Princeton University.Additional sound modules enable listening pronunciations of the words. Description: Search the meaning of a Name. Description: The Freelang Dictionary is an offline dictionary software to download (the program first, then as many wordlists as you wish). Hundreds of wordlists are available for free, mostly from/to English, French and Spanish. Browse the lists or look up a word by typing its first letters. Add, delete or edit entries, or create your own wordlists. Create personal practice lists to learn vocabulary, record the entries and customize the interface.